Howdy cowboys, Red Dead Online’s Beta has a rootin’ tootin’ new mode out now. 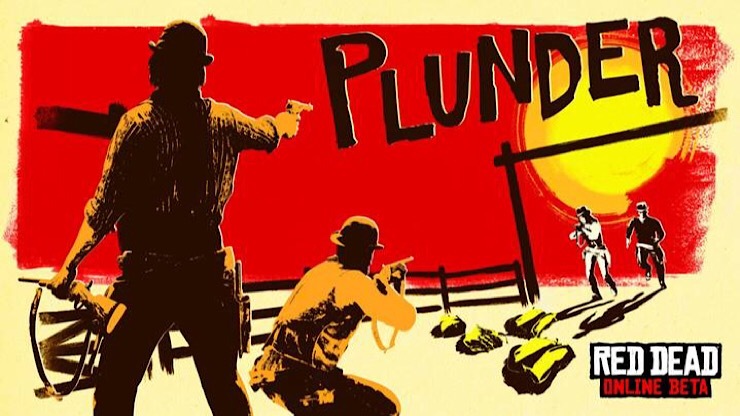 Named Plunder, this new mode will see teams of players fighting to capture loot from a central location and bring it back to base. Players will also be able to strategise to steal loot from their opponent’s base as well. You’ll need to make good use of team based Dead Eye abilities to help your team maintain the upper hand on the attack, and maybe, more importantly, on defence. There are new clothing items available now as well, with outfitters now stocking the Ownjila Hat, Porter Jacket and Concho Pants. Additionally, access to coats, holsters, boots and gloves up to rank 40 will be available to all players until April 15. Conversely items like the Turkoman, Missouri Fox Trotter are being lowered to rank 40 while the Volatile Dynamite, Explosive Slug, Express Explosive And Dynamite Arrow are being lowered to rank 60.